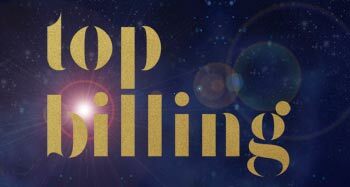 What was your motivation for creating the Top Billing brand? When I created the Top Billing television programme 15 years ago, I did so with the idea of celebrating South Africa and the achievements of South Africans. We continue this celebration to this day. Now produced through Tswelopele Productions, which we registered in 1995, Top Billing has been joined by Pasella and Ses’khona in providing exciting weekly television programming across the national broadcaster’s three channels – SABC1, SABC2 and SABC3. The addition of Tswelopele Publishing has meant the introduction of Top Billing magazine under our media umbrella, resulting in an impressive multi-media company that is able to venture into brand-building-aligned event management. What are the principles by which Tswelopele operates? Tswelopele aligns itself with Impumelelo by recognising the achievements of people in the arts, entertainment, travel and design arenas in the same way that Impumelelo recognises the achievements of people in the business environment. Both these spheres encompass many an entrepreneurial success story, and we are proud to highlight these successes. By profi ling those people who are making a contribution to the country, putting a spotlight on architects, interior designers, craftsmen, movie makers, business achievers and the like, Tswelopele provides a valuable contribution to industry in South Africa. Tswelopele is one of a very few empowered television companies. Although it is important to us, in that we are proud to be recognised as one of the Top 300 empowered companies in South Africa, we never assume the acquisition of business contracts based on this. Companies want to work with us because of our reputation of getting a job done on time and in the most professional manner. For them, the fact that we’re empowered is just an added bonus. What role has human resources played in the development of the company, and how has Tswelopele in turn helped to advance the lives and careers of their employees? Fifteen years ago, we were a company of six people, running one television programme. Today, we have 70 employees responsible for three television programmes and a monthly magazine. There are a number of women in senior management who play a vital role in both creative and business decisions. The theoretical ‘glass ceiling’ has never been an issue we’ve had to deal with at Tswelopele. We allow women to excel because, for us, achievement should not be based on a person’s gender or the colour of their skin. I prefer to focus on a person’s performance and their efficiency in the role they’re given. I believe that everyone has a talent and the skill of management (and a vital duty) is to work out what each person’s talent is and to allow individual staff to excel in certain areas and, indeed, to encourage them to do so. I also know the importance of skills transfer, so on-the-job training becomes an added bonus for employees who demonstrate a natural aptitude for certain jobs or roles within the company. I do, however, insist that staff should fi rst demonstrate the will to achieve as well as demonstrate an inherent ability to succeed before we embark upon specific training programmes. It brings me great joy to see our staff developing to their maximum potential because no dream at Tswelopele is ever too big. Through this in-house skills transfer we are succeeding in developing sought-after skills that add to the talent within the local television industry. As head of Tswelopele, I feel it is vital to lead by example. It’s not easy to maintain the high standards we have set over the years, but we continue to do so because of the dedication and passion of all our employees. We have a staff that is creative, intelligent, hardworking and well trained, and we are blessed with an extraordinary collection of South Africa’s brain power in our offi ces. It is the culmination of all this ability and hard work that viewers get to see on air and readers find in the pages of the magazine. 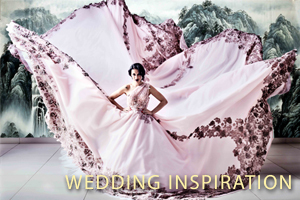 Our programmes and magazine are all a work of art that we are proud to share with the rest of South Africa. What role does the content of your TV programmes play in improving South Africa on a micro as well as a macro level? Tswelopele and its programmes and magazine are platforms where we are able to bring to the public’s attention the positive aspects of our country. We build on the great things South Africans are doing, providing people with good news and entertainment, and encouraging others to go out and do the same. We show viewers and readers that there is no glass ceiling for South Africans either. Our mantra is: A dream that is dreamed is a dream that can be realised. Because South Africans want to hear about themselves, we pride ourselves on our great variety of local content. South Africans want to travel locally, but they also want to see fellow South Africans making it abroad. South Africans based overseas have a reputation for being hard-working, reliable, good tempered and friendly. Such a reputation makes us proud as well as happy to be living in South Africa. South Africans are amazing in that they want to make a difference and are actively committed to strengthening and growing our country. They feel a responsibility towards improvement. This encourages the entrepreneurial spirit that seems to govern our country, where South Africans look for solutions to problems rather than letting them be. It’s this spirit that we embrace at Tswelopele – celebrating South Africa’s prosperity. Much of our audience will never have the opportunity to travel to the destinations we travel to, eat in the restaurants we feature or meet the actors we do. Through our TV shows and the magazine, however, they are able to sit in their armchairs at home and experience these fascinating aspects of South Africa and the rest of the world. At the same time, they’re forming ideas on what to do with their leisure time, as well as being given home-improvement projects to try around the house. The success of your company seems to be built upon establishing extremely popular and enduring brands that capture a significant market share in the TV industry? Most certainly that has been instrumental to our success. All three of our television programmes are extremely popular on their various SABC channels. 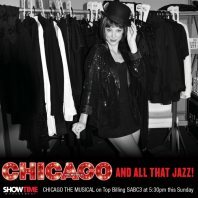 Top Billing falls consistently within the Top 10 programmes on SABC3, and Pasella enjoys the same status on SABC2. In fact, since Tswelopele took over the production of Pasella, the show has grown into a programme with one of the highest advertising rates on television. The demand from companies to be associated with this programme that celebrates the Afrikaans language and culture, has meant the unprecedented introduction of a third advertisement break in a half hour programme. Ses’khona has also been extremely successful. Even though it is presented in the niche languages of Siswati and Ndebele, its appeal has succeeded in stretching to a wider audience. The success of the Top Billing magazine is not measured merely by the number of overall copies sold, but rather by the high sales fi gures generated through our target market at upmarket retail outlets. Top Billing’s audience is an extremely loyal one. By providing this audience with the additional brand offering of a monthly print magazine, which they can take home and read at leisure, we are encouraging an even more loyal base of viewers and readers, while strengthening and extending our brand presence. The Top Billing brand is no longer one dimensional – it has become a lifestyle brand that people can now touch and interact with. Viewer and reader events are providing us with constant opportunities to build relationships with and learn from our audience, giving us the opportunity to develop a special unique relationship with our market. This is only the tip of the iceberg, with new opportunities for growth being explored on a daily basis. The possibilities for the brand are endless. This year, we are looking forward to inviting Top Billing viewers and readers to join in the 15th birthday celebration by joining us as we travel to the top 15 destinations around the world, as well as our monthly art workshops and food and wine pairing evenings hosted by top restaurants and wine estates. To what do your ascribe the overall success of Tswelopele? I believe that Tswelopele consistently produces excellent products because of our philosophy of never compromising on our work ethic and the quality of our work, as well as our attention to detail, meticulous research, careful planning and our high standards of performance and delivery in all three of our programmes and our magazine.